This passage of Scripture is referred to as the “Great Commission”. These are the words Jesus says to His disciples before He ascends into heaven to be seated at the right hand of the Father. There has been much written on this passage. There has been much discussion on how we are to live out this commission. That is what I would like to address in this post. How are we to go about making disciples and baptizing them and teaching them to observe all the commandments of Jesus? First lets take a look at the statement Jesus makes before the commission. “All authority has been given to Me in heaven and on earth.” Jesus is clearly telling the disciples who is in charge. He is not stating that some authority has been given to Him. He is not saying that He has some now and will get more later. Jesus says that He has all authority now! He is King and is ruling now at the right hand of the Father. This statement is just as important as the last statement. “and lo, I am with you always, even to the end the age.” The King of all is with us as we go out and do what He commissioned us to do. We are not alone as we go and make disciples. So how are we as Christians in this century supposed to go and make disciples? Where can we look to see how this is done? Perhaps there is a model for us in Scripture. Let’s look first to how Jesus made disciples. Jesus went out. He went from town to town. He went from town to town preaching. He went from town to town preaching the good news of the Kingdom while often quoting Old Testament Scripture as well as performing many miraculous signs. These are just a few examples of what Jesus said to those who followed Him and wanted to become His disciples. He did not hold back the truths of what it takes to be a true disciple of Jesus. It starts with a repentant heart and then total trust in Jesus and leaving behind all selfish ambition. Abiding totally in Jesus means a converted heart. This will lead to the second directive in the great commission of baptizing in the name of the Father, Son, and Holy Spirit. As Jesus preached truth the result was many following and many leaving. The more He called the religious elite out, the more they plotted to kill Him. What examples of disciple making do we have from people other than Jesus? For that we will look at a few passages from the book of Acts. In the book of Acts we see the Apostles and other disciples spreading the Gospel of the Kingdom. We see numerous people coming to faith in Christ repenting of their sins. How did Peter make disciples? Peter preached the Word. He told the people who Jesus is using the Scriptures. He boldly proclaimed the Gospel of the Kingdom as well as sometimes accompanying this with miracles by the Holy Spirit. What was the result? Now let’s take a look at how Paul made disciples. Also in the book of Acts, lets go to chapter 17. Here we see Paul, as we did with Peter, preaching to the Jews. These were people who were familiar with the Scriptures. This apparently wasn’t the first time Paul went to the places where the people were who Paul wanted to reach as we see it says it was his custom. We also see the result as many believed and many didn’t. Some joined Paul in following Jesus and some wanted to stop him from preaching the Word. Let’s take a look at how Paul reached the gentiles also in Acts 17. The following is Paul preaching in the Areopagus, but what lead to this was Paul preaching in the open marketplace. He was open air preaching and as a result he was able to deliver this sermon to an even bigger crowd. So by Paul preaching the Word of God, the Scriptures, to those who were familiar with the text had some people come with him and some not. Then Paul preaches to unbelievers not familiar with Scripture using what they know, the creation, and takes them to the cross of Christ saying that God has revealed Himself and is declaring that all repent. The result is the same. Some believe and follow while others think he is crazy. What can we learn about making disciples from the examples of Peter, Paul, and Jesus Christ Himself? When the Word of God is preached people come to repentance and faith and are baptized, then they can learn to observe all the commandments of Jesus Christ. The other result is unbelief, anger, and people wanting to shut up the Word of God. But this is the primary tool to making disciples. The proclamation of the Word of God. The proclamation of the Gospel. It is what the apostles preached. It was what Jesus Christ preached. Jesus preached about Himself and what He was doing for those who believe. He lived the life He preached. He died for those who believe and rose for those as well. This is the message preached that the Holy Spirit uses to bring about repentance and faith. It is from the Word of God that we get this message. 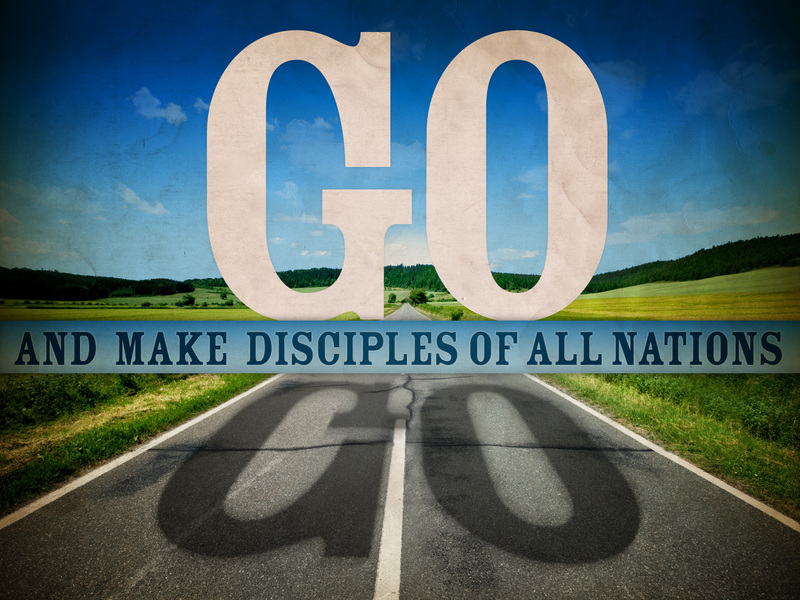 How do we make disciples? Pray for the lost. Go to the lost. Tell them the Gospel. Love them whether they receive the message or not. Rely totally on God to make the seeds grow!!! Do not wait to tell them when you are comfortable. That is not in the Scripture. Do not think you must invest years of friendship before you can tell them the most loving message ever. Life is too short. Jesus came with urgency. The Apostles preached and moved around with urgency. If we believe what we claim to believe we must preach the Gospel with urgency. Yes with wisdom, courage, lead by the Holy Spirit and always with the love of Jesus. But if they do not hear they can not be saved and can not be a disciple being baptized in the name of the Father, Son, and Holt Spirit learning to observe all the Jesus commanded. Making disciples without preaching the Gospel is just a human attempt at behavior modification. If you are not a believer and made it to this part through all the Scripture, thank you. I want you to know the good news. We can’t earn heaven. In fact we deserve hell. Wait….. Where is the good news? Here it is… God sent His Son, Jesus Christ, to live a perfect life that we are supposed to live but all have sinned and fall short of the glory of God and the penalty of sin is death. Then Jesus Christ died on a cross being tortured along the way before He was nailed to the tree. That is the death you and I deserve. Then He rose after 3 days in the grave proving He was who He said He was and now when we repent (turn from our sin) we are forgiven. We get eternal life like Jesus. We then follow Him as Lord putting of our old life of being a slave to sin and we are free in Jesus Christ. Now on the day of judgment we stand before a Holy and just God and He doesn’t see our ugly sins. He sees His beautiful Son who paid our penalty with His blood. He paid our fine. We are free. Free in deed. This is good news!!!! This is the best news ever!!!!! This is the Gospel!!!! Hear it!!!!! I pray you believe this. I pray you are free to be a slave to Jesus Christ. I pray He takes your heart of stone and gives you a heart of flesh to repent and believe. In the saving Name of Jesus Christ Lord and Savior I pray. Amen! I love this message! The whole reason I started my blog is to spread my belief and also I have been working to let others around me know my faith. Thanks for reading. Keep preaching the Word brother and rely on God. To God be the glory!